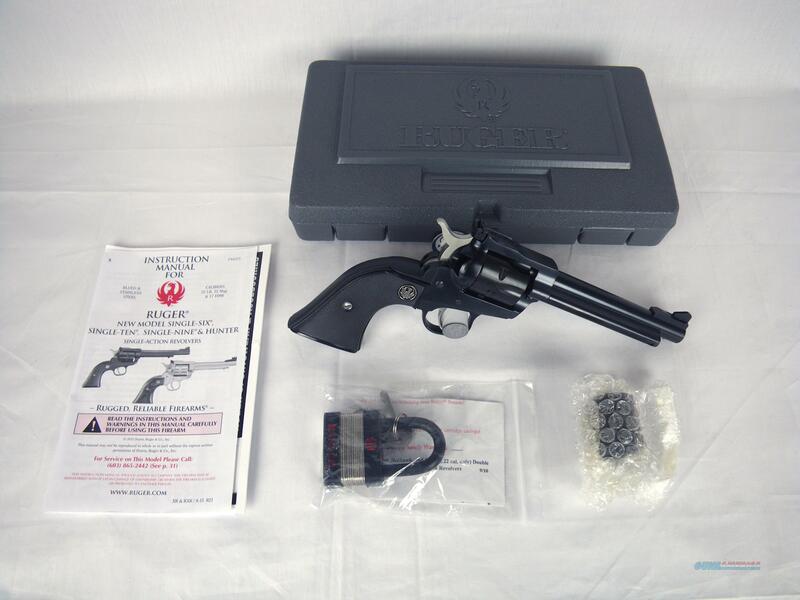 Description: You are bidding on a new Ruger Single Six Convertible in 22lr/22mag with a 5.5" barrel. This single action revolver comes with two cylinders to quickly change between 22 long rifle and 22 magnum. The cold hammer-forged barrel results in ultra-precise rifling that provides exceptional accuracy, longevity and easy cleaning. A patented transfer bar mechanism and loading gate interlock provide an unparalleled measure of security against accidental discharge. Windage and elevation adjustable rear sights help put you on target and keep you there. Displayed images are stock photos. Any questions please feel free to ask (our phone number is in the additional information tab above).